Introducing: Deli Dinners A Go Go! 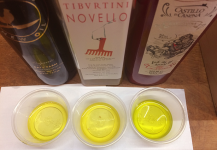 A chance to upgrade your dinner dance moves with Zingerman’s one night a week this fall! 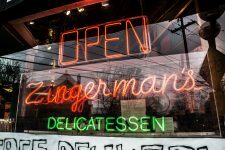 Andrew Wilhelme, Zingerman’s Deli’s Sous Chef, had an “a-ha” moment when thinking about how awesome it would be to give our customers the “Zingerman’s Experience” for dinner but without all the fuss that fall inevitably brings. 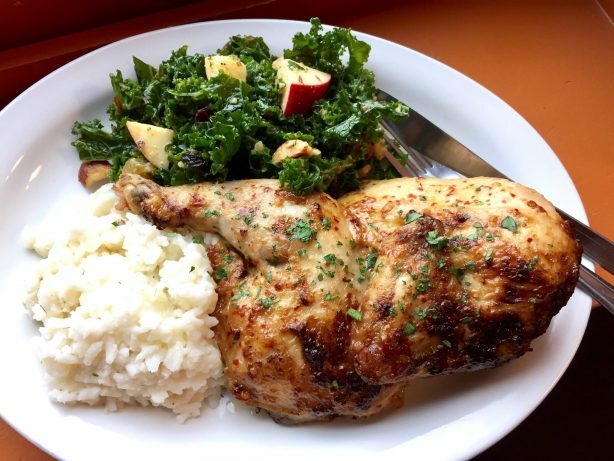 “It’s like having Zingerman’s as your personal chef, when and where you want it!” he says. These meals are also the perfect useful gift for friends or family who are in need of some delicious, homestyle meals who don’t have the time. Order online and set their home address for delivery. Your friend who just had baby? Delicious dinners with enough left over for a midnight snack! Your aunt who just had surgery? Restaurant quality meals while she rests! Honestly, who could resist? We also have a special offer for you if you’re interested in trying it out! When you place your order online, if you buy 6 weeks, you can get the 7th free with the code WELOVEDINNER! Dinners are available for pre-order at zcob.me/delidinners and are available for pick-up at the Deli or for delivery within our delivery area. We hope to see you out on the dinner dance floor soon! «Save the Season with a Little Help from Miss Kim’s Pickling Recipes!